Sunset Park reflections, originally uploaded by Barry Yanowitz. Brownstoner beat us to this series of photos, but I think it deserves another look anyway. 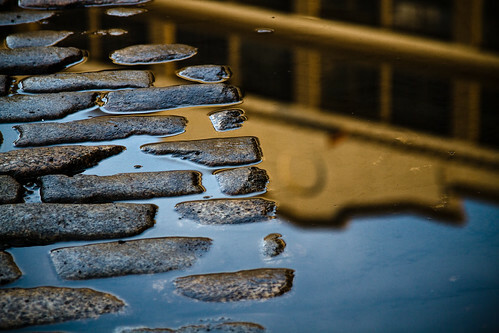 Barry Yankowitz snapped a wonderful series of reflective shots on 1st Avenue. I like this one because of the factory reflection. Check out his other photos in the BViB photostream and in his own collection. This is a beautiful shot. I lived for many years in an industrial/residential neighborhood, and I think you can measure change by the number of cobblestone streets that remain.